CNN features Gerald Rambert in this brilliant short documentary, directed and edited by talented film maker Isaac Obooth. The short film is part of the CNN series African voices that highlights the continent’s most dazzling trendsetters who create their own subcultures in areas such as travel, fashion, art, music, technology and architecture. Gerald is one of the best underwater photographer and underwater cameraman in Mauritius, with numerous pictures published. 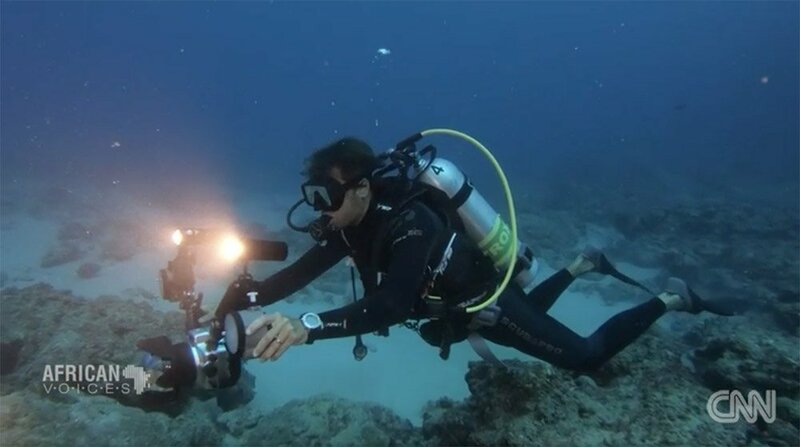 His underwater footages have been used in award winning film including “Vey nou Lagon ” a documentary made by Vanina Harel and Zara Currimjee. If you want to also have a look at the latest pictures of Gerald on the different dive site of Flic en Flac have a look at the Gallery page. To view the video of CNN, please click HERE.